Top CEOs from India and the UK have pitched for a more transparent and consistent decision-making regime as also a uniform treatment of corporates across the world, as Prime Minister Narendra Modi vowed to \"ceaselessly\" work towards Indian economy\'s integration with the world. 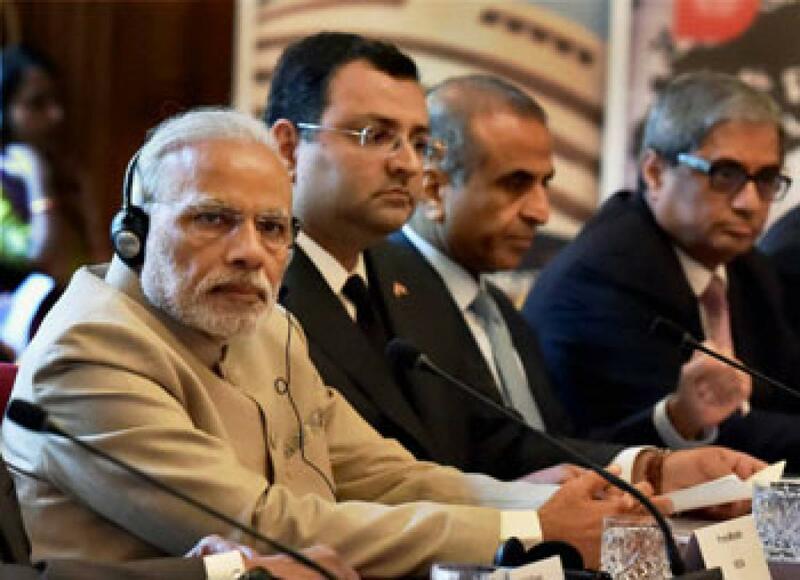 London : Top CEOs from India and the UK have pitched for a more transparent and consistent decision-making regime as also a uniform treatment of corporates across the world, as Prime Minister Narendra Modi vowed to "ceaselessly" work towards Indian economy's integration with the world. A reconstituted India-UK CEOs Forum, during its first meeting on Friday, identified six overarching themes as important areas of collaboration to take forward -- smart cities and the digital economy, healthcare sector, education and skills, engineering, defence and security, and financial and professional services. The meeting took place in presence of Modi as well as his British counterpart David Cameron. "We are confidently, consistently and ceaselessly working to integrate our economy with the world," Modi told the gathering at 11 Downing Street, next door to Cameron's office in London. Cameron encouraged the company chairs and chief executives to identify the "best ways to build new trade partnerships and investment opportunities and use the strength of existing commercial relationships to identify and build more partnerships between innovative Indian and UK companies". The forum was co-chaired by Tata Group chairman Cyrus Mistry on the Indian side and Standard Life chairman Sir Gerry Grimstone on the UK side. "The common ask of the industry in both countries is a business environment characterised by simplicity in structures and processes, clarity and transparency in decision-making and uniformity and consistency in the treatment of corporates and people across borders," Mistry said. "The new UK-India CEO Forum provides a powerful foundation with which to implement initiatives that will bring our two countries closer together, based on mutual respect and shared values," said Mistry, who was joined by the likes of Bharti Enterprises chairman Sunil Bharti Mittal, Tata Consultancy Services CEO & MD N Chandrasekaran and Bharat Forge chairman Baba Kalyani.